Henrik Schwarz and Roman Flügel remixing Sven Väth's first single „Electrica Salsa“ a cornerstone of Techno history! - Track? !D. 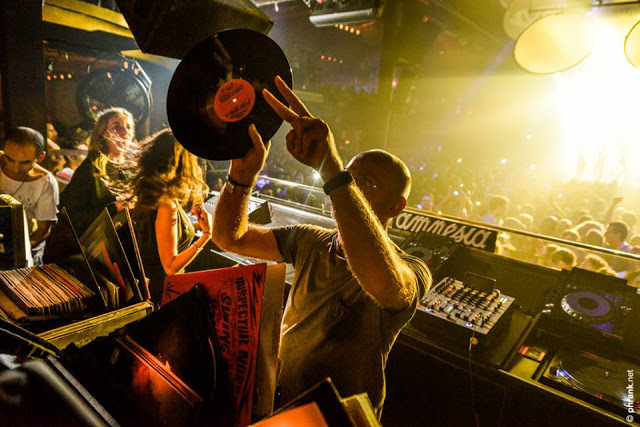 Home » Geo Myros » Lets Vibe Lets Techno » Roman Flügel » Sven Väth » Tech House » Henrik Schwarz and Roman Flügel remixing Sven Väth's first single „Electrica Salsa“ a cornerstone of Techno history! Henrik Schwarz and Roman Flügel remixing Sven Väth's first single „Electrica Salsa“ a cornerstone of Techno history! The track „Electrica Salsa“ is a cornerstone of Techno history, receiving a 2016 makeover so its successor generation gets something of its own to dance on. “Roman Flügel is a friend and estimated colleague of mine and he created a really smart version of the track. I’m convinced that many people will be surprised by his remix. Henrik Schwarz on the other hand actually invited a brass combo to the studio and recorded them with strings and latin bass which makes a great modern version;” as Väth describes the 2016 studio productions.